Rapid expansion has left the industry short of qualified professionals, Huang Ying reports. 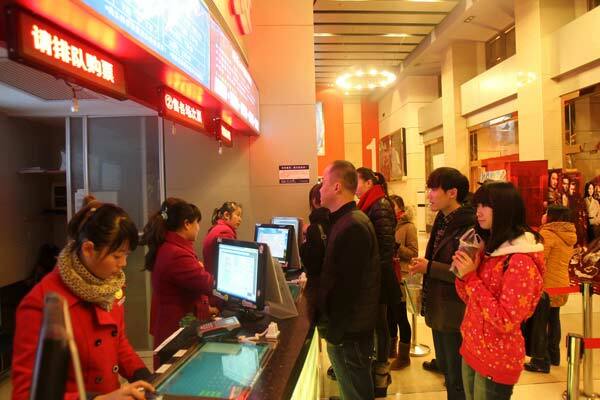 The rapid expansion of movie theaters in China has boosted box office revenues as well as spurred a huge demand for theater management specialists. The boom began in 2010, when box office receipts exceeded 10 billion yuan ($1.61 billion) for the first time. The number of theaters surged from 2,000 in 2010 to 2,800 in 2011, up 40 percent year-on-year , according to statistics from EntGroup Consulting, a Beijing -based entertainment industry consultancy. The rapid increase in the number of theaters resulted in a shortage of qualified managers. "During rapid economic development, the availability of human resources tends to lag behind industry growth,"said Han Jian, associate professor of human resource management at China Europe International Business School. A qualified manager must understand all aspects of running a theater, including operations, marketing, finance and screening, which is why it takes a considerable amount of time and effort to develop such skills, Han said. For example, Xu Qiong, general manager of Bingo Cinema in Hangzhou, Zhejiang province, said that she entered the industry after leaving her managerial position at Procter & Gamble Co.